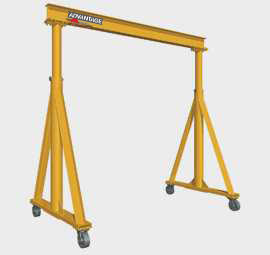 Provide an economical way to lift materials anywhere in a facility. 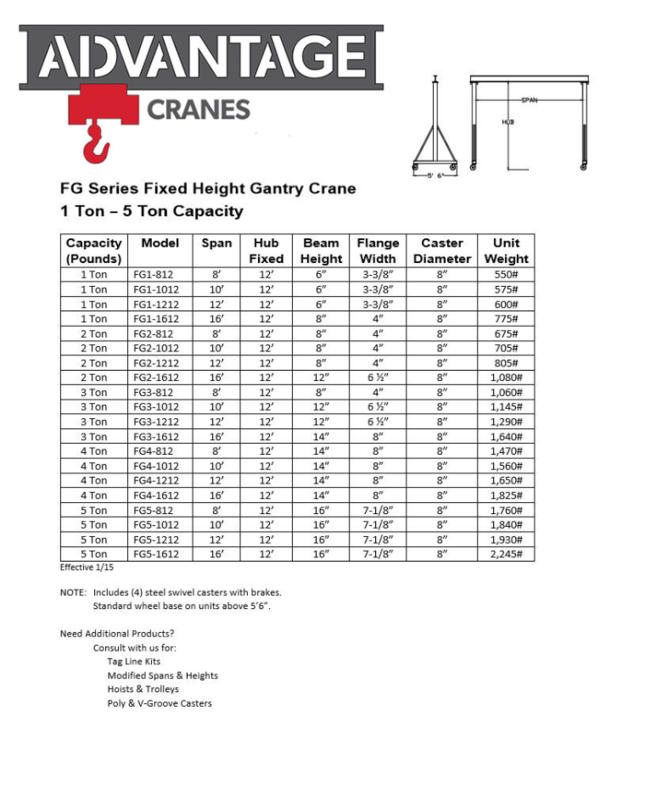 The wheels enable you to move the gantry around your facility. This is a most cost effective solution for areas of infrequent lifts than a more expensive permanent structure. Available in capacities from 1 - 5 ton.